Officials are continuing to investigate the dramatic crane crash that damaged a cruise ship in the Bahamas this week. 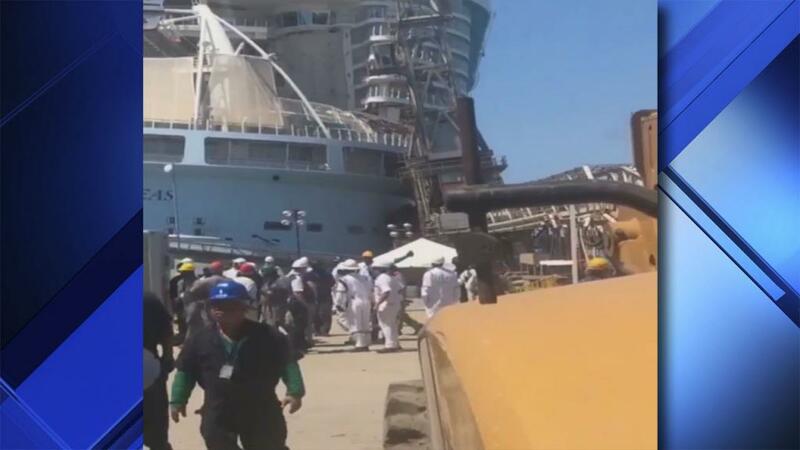 The news paper Bahamas Press has published a video online which purports to show the ship after the crash. In October the Oasis of the Seas was the site of a massive Norovirus contagion, which sickened more than 300 people. The illness spread rapidly, leaving passengers battling symptoms including vomiting and diarrhea.